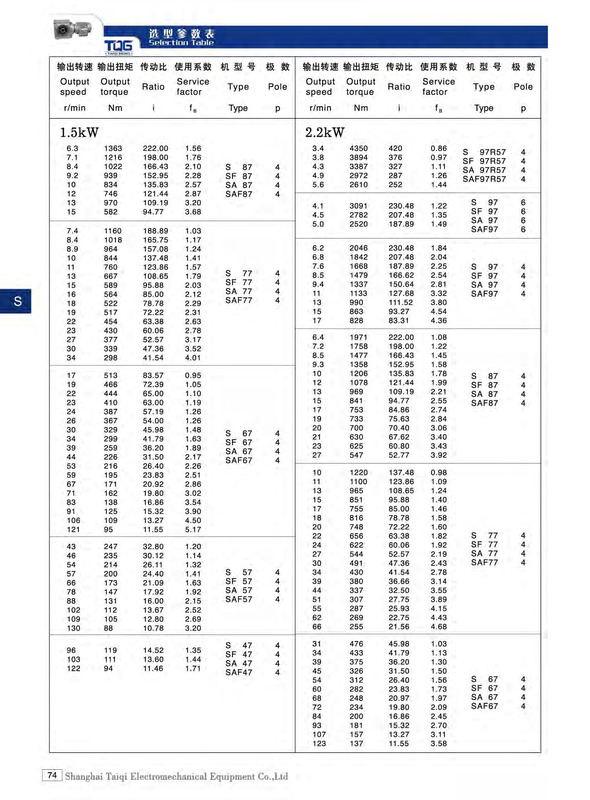 A wide range of speed ratios for selection. High processing accuracy of the gear and box. 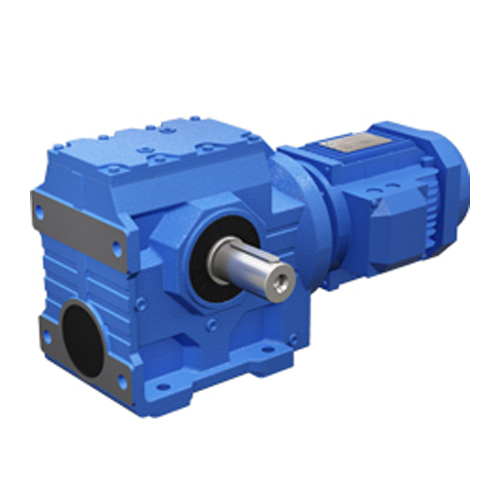 High efficiency, low noise, no oil leakage and long service life are the outstanding advantages of TQG S series worm helical gear reducers. 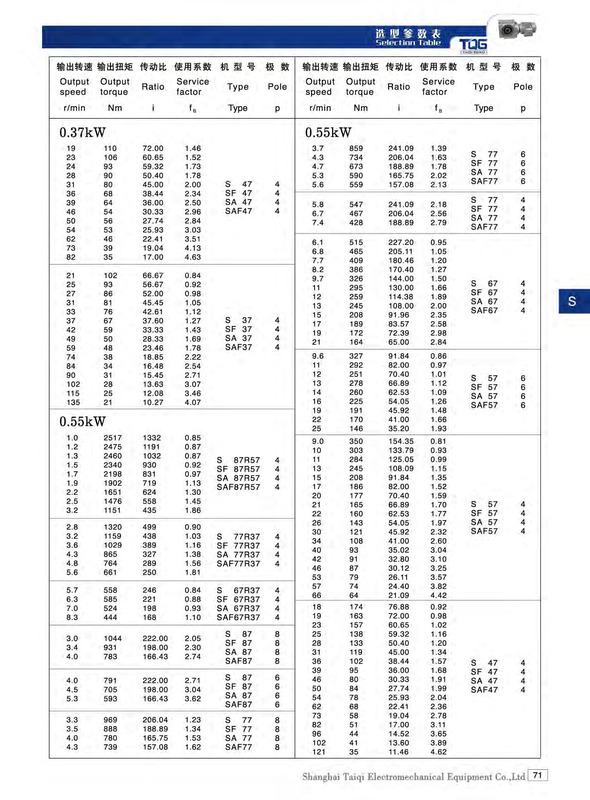 First class of bearings and standard components are selected to gurantee the high quality of the TQG gear motor. 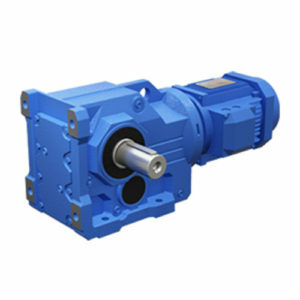 TQG S series economic type of helical-worm gear motor is featured with an integrated drive combined helical gear and worm gear, which has greatly improved the torque and efficiency of the gear motor. 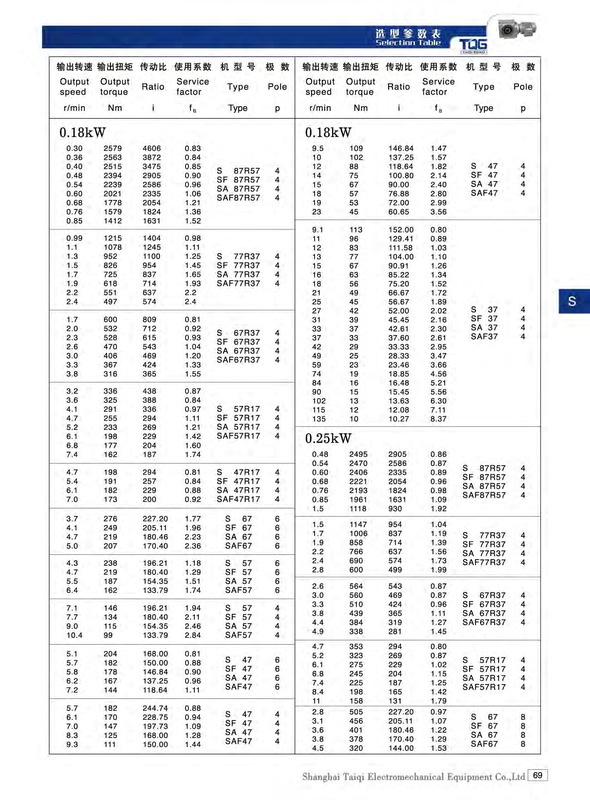 The input and output of S geared motor are in 9o degree, so we also can call it right angle gear motor, which can save space for installation. 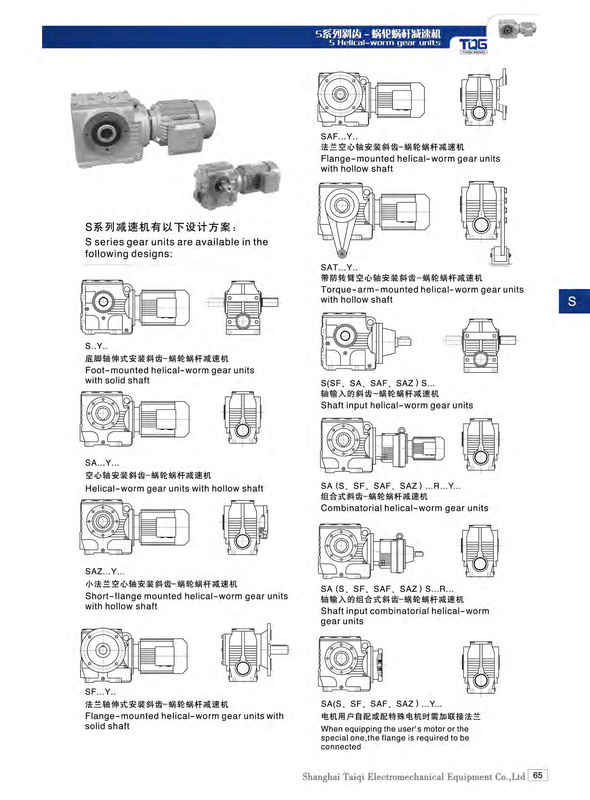 Besides, S series helical worm gear reducer obtains a variety of specifications, wide range of rotation speed, long service life and good generality. 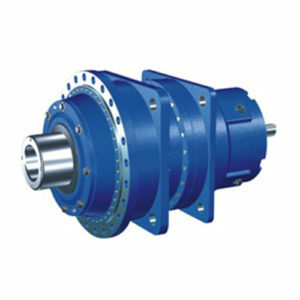 And it is suitable for different installation methods and has a high reliability in the aspect of operation performance. 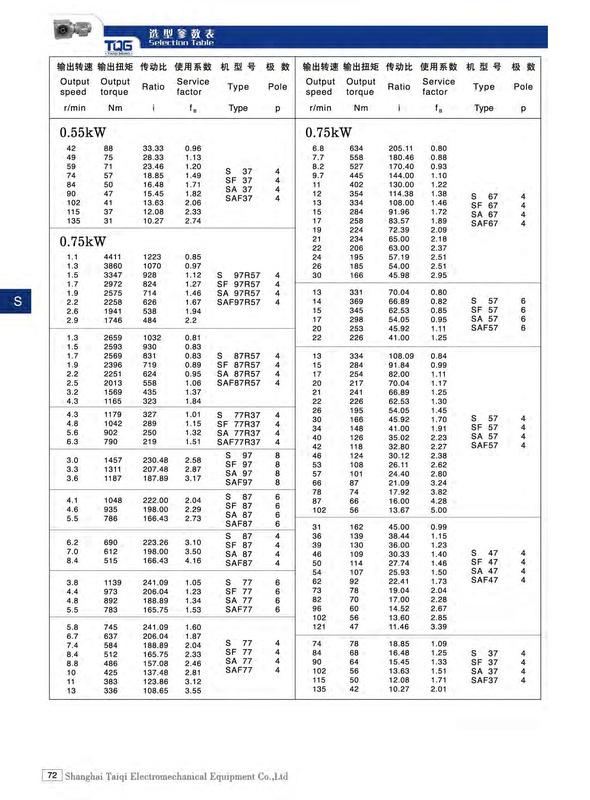 TQG company implemented a leading standard requirements of the industry of speed reducer. The concave and convex surface of the reducer body is featured of heat dissipation, strong absorption, low temperature rise and low noise. 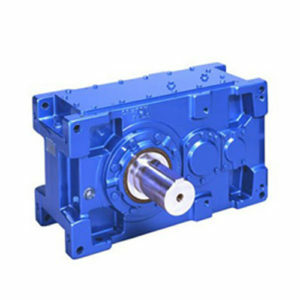 Taiqi Seiko S series worm helical gear reducer is manufactured with superor process and high level of matched purchasing to ensure the high transmission efficiency, low noise, free of oil leakage, and long service life. 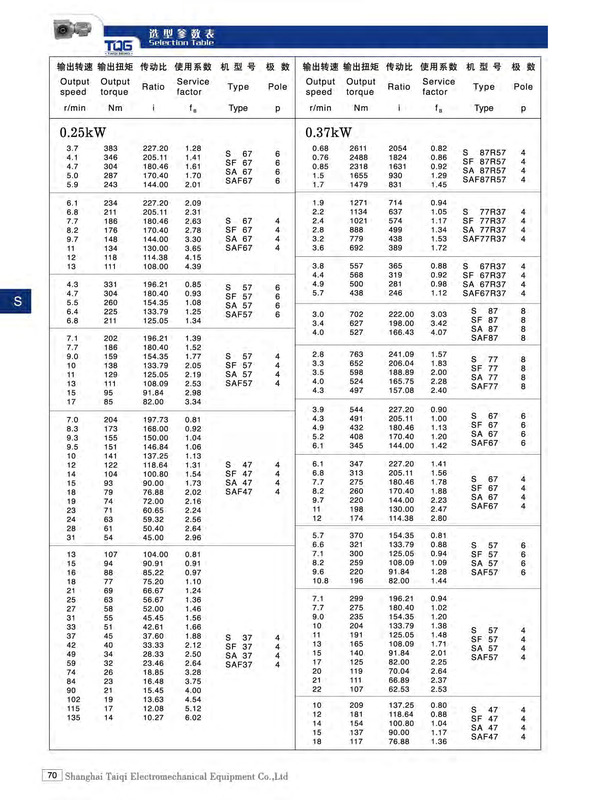 The TQG gear reducer adopts the modular product optimization design concept using the finite element analysis software and the unique low noise of gear tooth shape design to meet the different needs of different industries. 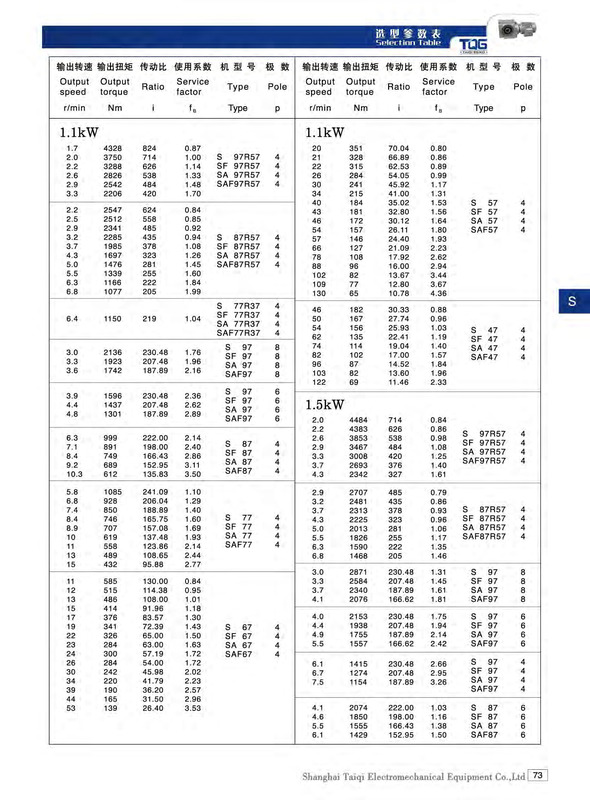 The use functions can completely replace the international transmission brand, and have realized the interchangeability function with the international well known brand. 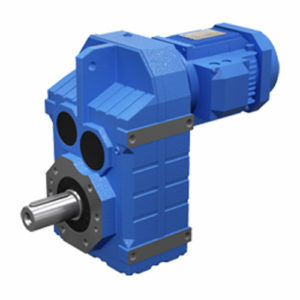 TQG S series gear reducers are suitable for light industry and heavy industry manufacturing and widely used in petroleum, metallurgy, mining, construction, lifting, transportation, cement, chemical, textile, printing and dyeing, pharmaceutical, food, environmental protection and other subdivided areas.